Beauty Bliss Cosmetics: Victoria Loves Chocolate Eyeshadow! I just received my order of brown eyeshadow powder moments ago and couldn’t wait to try it—it’s just beautiful on and feels like air! 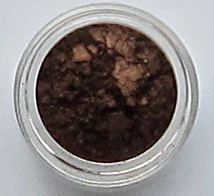 Chocolate Eyeshadow Is A Subtle, Versatile Neutral.